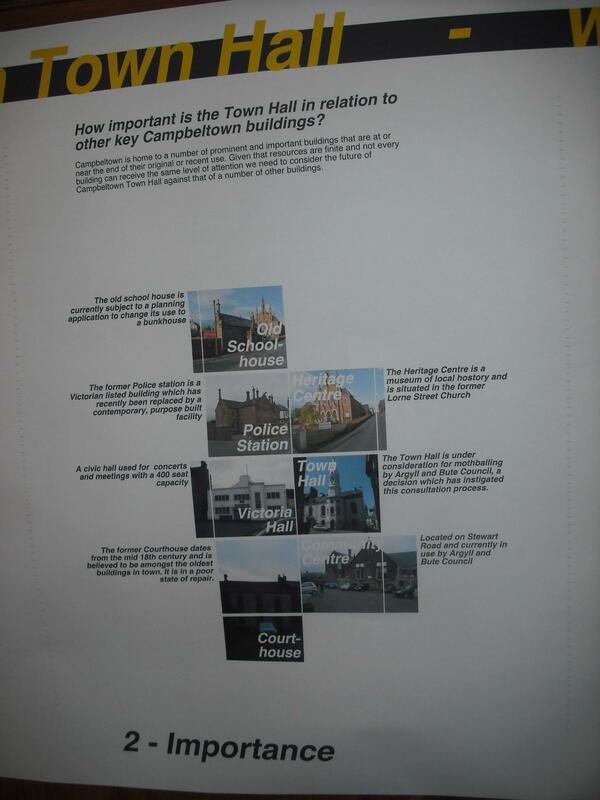 In 2009 it was announced that the iconic Town Hall was being mothballed. Described by Historic Environment Scotland as 'One of Scotland's finest town houses' The THI team played a key role in identifying a new use. This led to an asset transfer to South Kintyre Development Trust (SKDT) and a full repair and refurbishment scheme. £387,000 of THI funding and £330,000 CHORD funding contributed to the £2M costs. 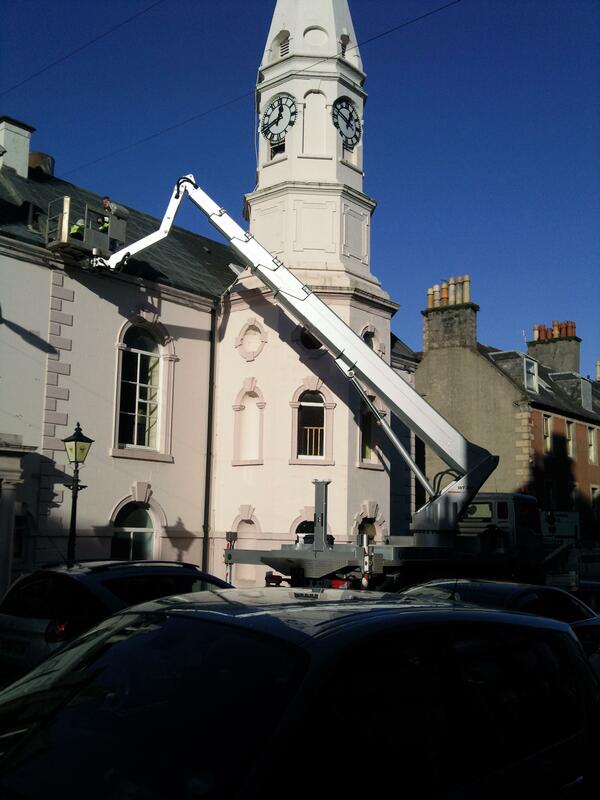 THI funded works included; re-roofing, leadwork, stonework, refurbishment of windows, removal of old paint and application of mineral paint. In addition to the THI and Council CHORD grant funding we helped SKDT secure almost £1M from the Big Lottery Fund and £224,800 from Historic Environment Scotland. The building re-opened in April 2016 as a multi-purpose facility and focal point for community activities. It is now fully accessible to all and is already proving popular as a venue for weddings and other functions. 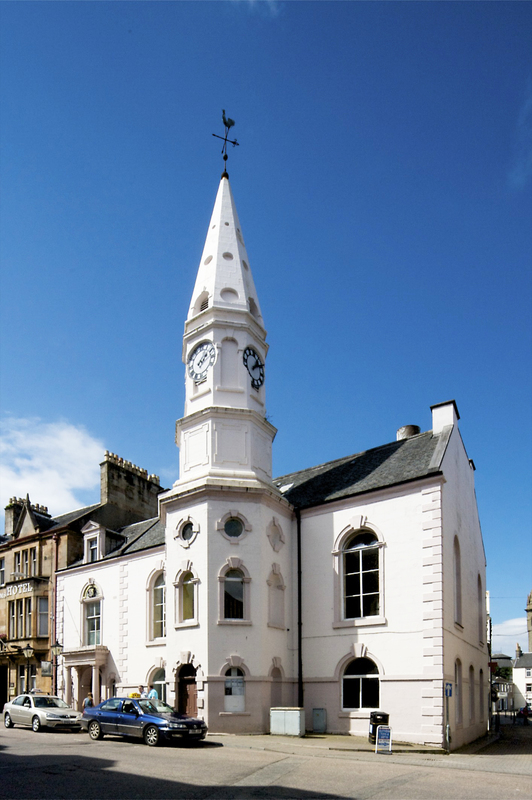 Campbeltown Town Hall won a 'Judges Award' at the Herald Property Awards on the 22nd September 2016. See here for further details on the award. 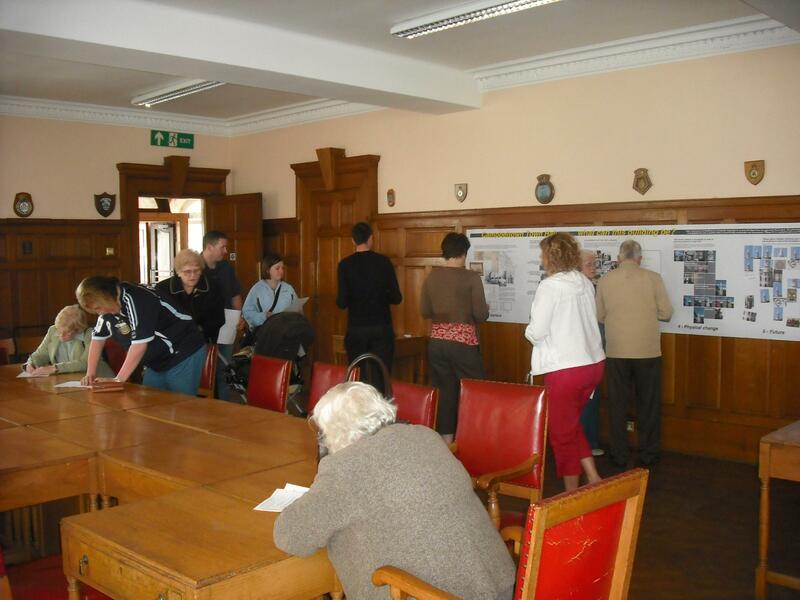 Community consultation event May 2010. Town Hall from the north.